Komodo Island is fast becoming among the most popular trips among those who choose to spend their free time in eastern Asia. 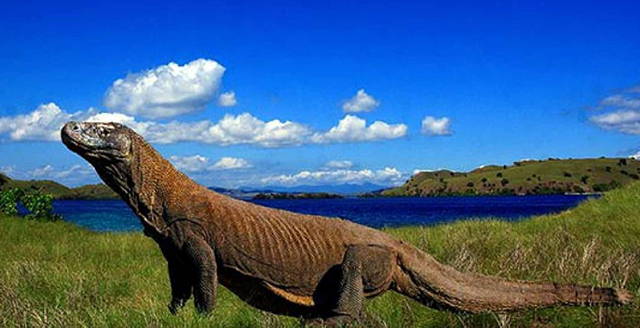 The island is famous for its exotic wildlife, some of which (the Komodo dragon and the Komodo rat) bear its name. It is part of Komodo National Park, which has been designated as a UNESCO World Heritage Site and as one of the New7Wonders of Nature. Many people come to take photographs of all these wonders. Tourists can reach Komodo from some of the other islands. Komodo National Park is a landscape of contrasts between starkly rugged hillsides of dry savanna, pockets of thorny green vegetation, brilliant white sandy beaches and blue waters surging over coral, unquestionably one of the most dramatic landscapes in all of Indonesia. Demonstrating exceptional natural beauty that is all the more remarkable as a counterpoint to the dominant lushness of vegetation which characterizes vast areas of forested Indonesia, and with which most of the world associates the archipelago. An irregular coastline characterized by bays, beaches and inlets separated by headlands, often with sheer cliffs falling vertically into the surrounding seas which are reported to be among the most productive in the world adds to the stunning natural beauty of landscapes dominated by contrasting vegetation types, providing a patchwork of colours.